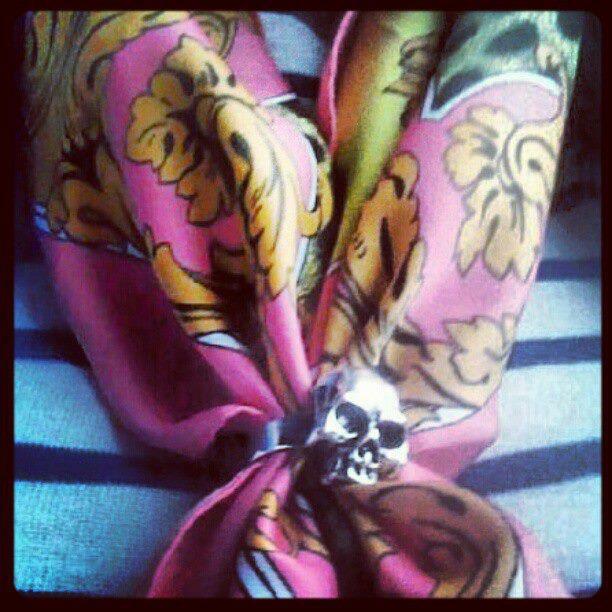 Wild Child Stories: STYLING TIP: Update your printed scarf by adding a statement ring! STYLING TIP: Update your printed scarf by adding a statement ring! Printed scarves are all the rage this season, especially the Versace-esque brightly printed ones, however light scarves like these can be a difficult accessory to wear in the crazy windy weather we're having here in Ireland right now! So I thought I would share a handy little tip that I picked up form a friend with you guys. If you find your scarf is blowing all over the place and causing you grief (or if you just want to update it a little bit) just take the two ends of your scarf, and feed them through the hoop of a statement ring of your choice, tug them down a bit to fix the ring in place, and hey presto, your scarf stays in place, and the statement ring adds that extra va-va-voom to your outfit! 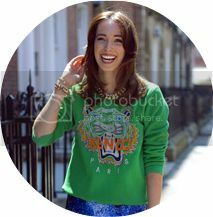 Do you have any fashion or styling tips and tricks you'd like to share? I'd love to hear them!